Nestled on the beach, this Kalpitiya tentalow is 16.1 mi (26 km) from Base Hospital Puttalam and 16.3 mi (26.2 km) from Dutch Fort of Kalpitiya. At Dolphin Beach Kalpitiya, relax by an outdoor pool or hit the beach where you can enjoy snorkelling. All 9 rooms provide conveniences such as sofa beds and sitting areas, plus free WiFi and room service (during limited hours). Rainfall showerheads, coffee/tea makers and free bottled water are among the other amenities available to guests. In addition to an outdoor pool, Dolphin Beach Kalpitiya provides a kid's pool and complimentary bicycles. The tentalow offers a restaurant. A poolside bar is on site where guests can unwind with a drink. Wireless Internet access is complimentary. This beach tentalow also offers spa services, a terrace and tour or ticket assistance. For a surcharge, a round-trip airport shuttle (available 24 hours) is offered to guests. Complimentary self-parking is available on-site. 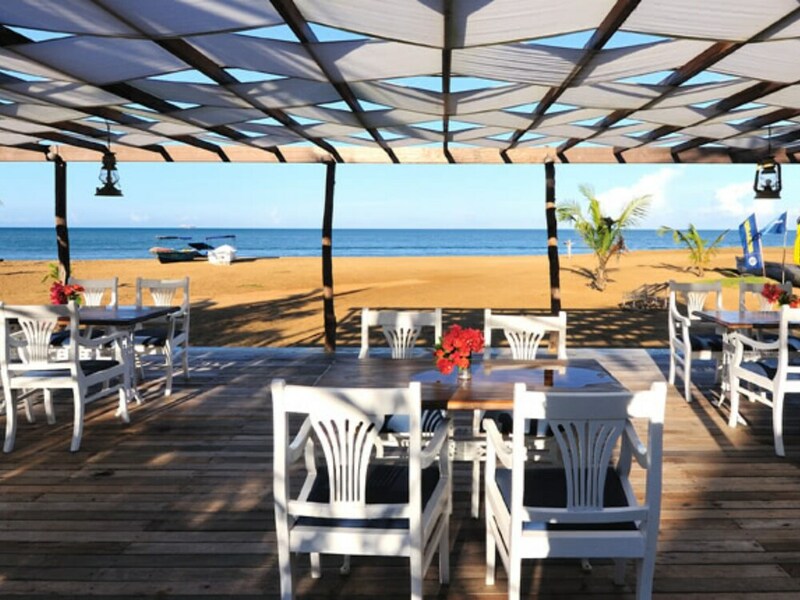 Dolphin Beach Restaurant – This beachfront restaurant specialises in international cuisine and serves breakfast, lunch and dinner. Guests can enjoy drinks at the bar. Open daily. The Pool Bar – This poolside bar specialises in international cuisine and only serves light fare. Open daily. This property offers transfers from the airport (surcharges may apply). Guests must contact the property with arrival details before travel, using the contact information on the booking confirmation. Set meals are served in guest rooms only (no menus or public dining).